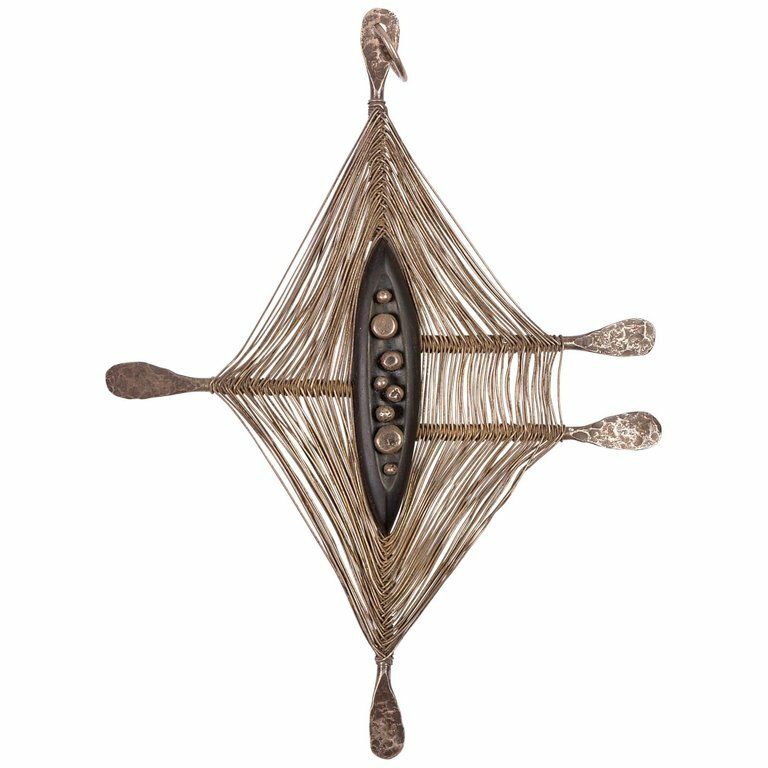 This early wire wrapped pendant was likely made by Harry Bertoia while he was at Cranbrook. H 5.5 in. x W 4 in. x D .6 in.